Wes began his love of the outdoors in the rock and ice climbing community of the Western United States in the 1970’s. He then graduated on to high altitude climbing in Alaska and the Himalayas. He was Climbing Leader of the 1987 American Everest North Face Expedition. Wes came to East Africa in the early 80’s and was for several years the Director of the NOLS school in Kenya. 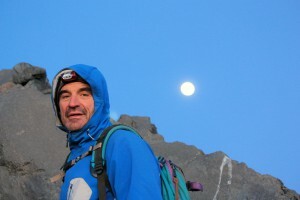 During this time he and Scott Fischer made the second successful climb of the Breach Icicle on Kilimanjaro. He started African Environments in 1983 with a few expeditions pioneering routes on Kilimanjaro, later in 1987 more formally leading safari adventures as well. For three decades Wes has been continuing adventures in the bush by vehicle, by foot and mountain bike. 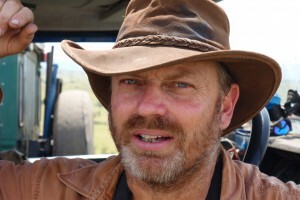 His passion for nature, the outdoors and people of Tanzania has inspired African Environments to continue to be at the forefront of adventure tourism in Tanzania. Richard started his career in the outdoors as an Outward Bound Senior Instructor in England, America and Asia running mountain and sea programs for more than eight years. He came to Africa in 1990 and set up and ran a European based safari operation before joining African Environments in 1998. Richard is particularly passionate about walking in the wilderness areas of the country, where very few have been. He is a natural born leader with a gregarious and infectious spirit for Tanzania. In 2013 Richard was awarded an OBE by Her Majesty the Queen of Great Britain for his work as Honorary Consul in Tanzania. Melly stared mountaineering and guiding in the wilderness in the early 1980’s. At University she studied Ecology and was a part-time instructor for the National Outdoor Leadership School. 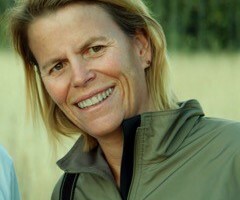 On graduating from university she climbed mountains around the world and was a climbing member of the 1987 American Everest North Face Expedition. After Everest, Melly and Wes shipped their climbing gear permanently from Tibet to Tanzania and African Environments was founded. Once in Africa her attention turned back to ecology and wildlife and in 1989 she earned her Master’s Degree in Wildlife Ecology. Her Graduate work was focused on the elephants of Lake Manyara National Park in Tanzania. 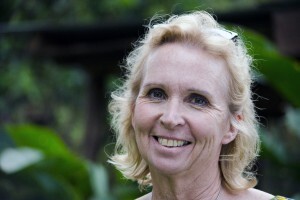 In the early 1990s she moved to Kenya to work on elephants with Dr. Iain Douglas-Hamilton and also to work with Kenya Wildlife Service under Dr. Richard Leakey. On returning to Tanzania, she continued wildlife work and started several community conservation projects with the non-profit, Tazama Trust, of which she is a founder and board member.